You are currently browsing the The Pet Product Guru blog archives for June, 2017. My 18 year old cat, Molly has renal disease and an overactive thyroid. Although she’s getting a bit wobbly on her feet, after a poor prognosis almost two years ago, she is still managing to hold her own. Thanks to Astro’s CRF oil, which I’ve been using ever since her bleak diagnosis. I’m gonna let you read the story of Astro and the development of Astro’s oil. I can attest, that this has really helped Molly. So far, I don’t have to hydrate her and she’s eating a drinking well. That’s my main health gauge. Here’s Astro’s story: Thanks to Astroscrfoil.com and Dr. Marco for this positive, inspiring story! 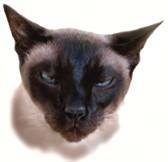 Astro is a pampered Siamese, though he didn’t start out life that way. He was the bullied runt of a large litter and had to be hand reared. A fact which might explain his special affinity with people (the ones he knows in any case). When we got him, Astro was small enough to easily fit in a shirt pocket, yet he was willful and brave. His restless spirit was only defeated by well placed massages that would send him into reluctant but deep sleeps. As he grew, Astro developed a unique character. 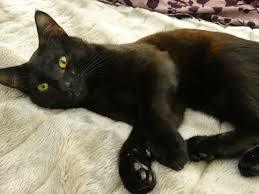 He moves like a sleek panther, is not much interested in stalking, fights with some form of feline martial arts that totally unnerves Quaily, our other cat, speaks more than meows and growls like an angry dog at suspicious sounds. He is at his happiest cuddling on the couch with whoever is radiating the most heat. One early spring when Astro was not quite six years old, I noticed some white spots on the fur on his flanks. At about the same time he began losing weight and throwing up his food once or twice a day. He became lethargic, lost his appetite and started acting strangely, plucking chunks of fur from his coat and behaving as if he didn’t recognize us. I had seen similar symptoms exhibited by my human patients who suffered from system toxicity. In humans this toxic syndrome can be caused by a wide range of metabolic and organ system diseases. I had my suspicions as to what might be causing these symptoms in Astro. A positive diagnosis, however, would depend on some lab tests. I brought Astro to the vet . He took blood and urine samples and sent them to the lab for analysis. He also took an x-ray and administered fluid therapy. The x-ray was the first result we got back and as I suspected, it wasn’t good news. One kidney was greatly enlarged and there was significant calcium deposits in both kidneys. The blood and urine test results were even more devastating. Simply put Astro’s kidneys were shot. His diagnosis was chronic renal failure. I knew that in humans there is no cure for this condition. It is progressive and ultimately results in the patients death unless dialysis is routinely performed or they get a kidney transplant . The vet told me the same holds true for cats and dogs, though dialysis and transplants are not routinely performed due mainly to the prohibitive costs. We discussed Astro’s prognosis and treatment. It seemed that treatment options were limited and his prognosis poor. The vet prescribed some potassium pills and we agreed that I would continue hydrating Astro at home by a process called subcutaneous hydration, also known as sub-Q’s. He was put on a renal diet designed to limit his intake of protein and phosphorus in the hope of decreasing the waste products his kidneys would have to filter out. Astro condition stabilized. Hydrating him seemed to help but nausea continued to plague him. He gained a little weight, had some good days, some bad. Over all, however, it was clear that his condition would not improve significantly. Though we tried not to dwell on it, we were aware that it was just a matter of time before this fine balancing act would fail him. Three month after first being diagnosed with crf, Astro’s condition took a dramatic turn for the worse. Subcutaneous hydration was no longer effective in helping flush the toxins out of his system. His nausea grew worse and he had trouble keeping anything down. His already thin frame began to show signs of emaciation, and he became so weak that at times it was difficult for him to keep his head up. We struggled with the question of how much we were willing to put Astro through to keep him alive. Taking him to the vet and leaving him overnight or longer for treatment stressed him out so much that we decided it would no longer be an option. When Astro, who hated to be alone, found himself a secluded niche away from everyone and refused to leave, we knew he was preparing himself for the end. We began to consider euthanasia. I watched him sit in his sheltered spot one night after everyone had gone to sleep. There was little left of him, just fur and bones. He had stopped eating a couple of days before and hardly even drank. His eyes were focused on a spot fare away and he looked agitated, as if he were earnestly waiting for something. I went over to try and comfort him but he pulled away. He didn’t recognize me. I had watched many patients near their end, and though it was never easy, one had to know when it was time to let them go. It was time to let Astro go. I was surprised, however, at how difficult it was for me to accept this fact and found myself sitting in front of my computer looking up research papers on kidney pathology and cellular metabolism well past dawn. On my way to catch a couple of hours sleep I stopped to look in on Astro. He was awake but transfixed. How long could he endure I wondered. I had resolved that we would not take him to the vet to be euthanized. If there was still some fight left in Astro to re-ignite, I had found a weapon that might help him win a few battles. I had discovered some very promising research on feline and canine CRF, cellular metabolism and free radical neutralization. The challenge was to combine the results of this diverse research into a formula designed to arrest, and hopefully reverse the progression of his CRF. The formula would be prepared as soon as all the ingredients could procured, however, we first needed to buy some time. For Astro that meant hydration and nutrition. Unfortunately, Astro steadfastly refused to eat his renal diet cat food and forcing him to do so would not be a solution. We offered him a Whiskas cat treat instead and gently pleaded with him to eat. He seemed oblivious to our pleas, it was as if he were determined to meet his end. Eventually, in one of those hard to forget moments, he came out of his trance and focused on us. He considered the treat held before him for a long while. Suddenly, with a decisive movement he gingerly plucked the treat with his teeth and ate it. He was going to try again even though it would have been so much easier for him to give up and end the suffering. Morsel by morsel we hand feed him and praised him for every courageous bite he accepted. He ate six or seven pieces and a while later, another ten or so. Astro was coxed back to life with love more than food. Once all the ingredients were procured and the proportions calculated, I mix the formula. I administered the first dose with a pipette the day after Astro resumed eating and drinking. After a month of daily 1.5 ml doses of the formula, Astro’s condition was stable and he was out of danger. He had regained his appetite and put on some much needed weight. Based on his blood and urine tests and lack of nausea I began weaning him of the subq’s. We put Astro back on his regular cat food because it’s his favorite (he hated the renal diet stuff) and because I have come to believe that limiting the protein in a cats diet will cause more harm than good. However, cat food with low phosphorus levels is definitely recommended, as long as your pet will eat it. As for medication, the only thing Astro receives is 1.5 ml/day of the formula. We named it Astro’s CRF Oil in his honor. His comeback has truly been miraculous, his progress continuous from month to month. He is thriving, happy and enjoys a great quality of life. He is also very relieved not to have to endure being hydrated. Friends who saw Astro at his sickest can not believe that he is the same cat. Astro’s coat had suffered greatly from his illness. It was mottled, depigmented and bare in places. The colors have returned with a vengeance. Astro’s coat is now a shinny, dark chocolate brown and various shades of beige. His ears which had lost most of their fur are now pure velvet. His blood and urine values are normal and though his kidneys are damaged the formula has managed to recoup enough kidney function to help him lead a normal and energetic life with, I hope, normal longevity. Don’t forget your music this holiday weekend. Oldies from the 50s 60s 70s 80s plus pop standards go great with you picnics and cookouts. Edgewater Gold RADIO is your place for the best music! Listen on our website! The Edgewater Internet Radio Network! The price of a pure bred puppy depends on whether you’re buying a show puppy or a companion puppy. Puppies that are sold on a spay/neuter contract usually sell for about $800. If you’re buying a puppy to work or compete, then be prepared to spend at least $1,500. Make sure that you get these things for that price. At least three generations of pedigree. Hips, Elbows and eyes are all good and free from genetic abnormalities. 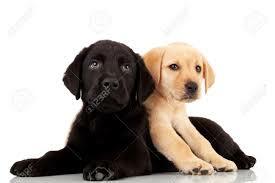 You need a guarantee that your puppy is free from inheritable diseases or other conditions. A refund or exchange policy must be noted. The puppy should be well socialized. Care, grooming and feeding information must be provided. Now the radio section: We also run a great oldies internet radio station and invite you to listen right here. Edgewater Gold Radio plays oldies from the 50’s 60’s 70’s 80’s and popular standards! You can listen on our website The Edgewater Internet Radio Network! Millie’s On The Job! and a Foam Disaster! Living in a fairly wooded area, we see many kinds of animals roaming through the neighborhood. We’ve seen fox, deer, rabbits, lizards, snakes, raccoons, as well as a large variety of birds. My younger cat Millie, has been spending lots of time in the bathroom lately and she’s not taking a shower or going to the bathroom. She sits in the corner and watches. Jim and I couldn’t understand why she is spending so much time in there. 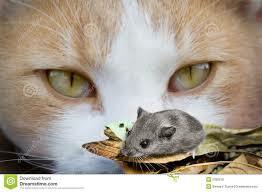 Last week when Jim came home from work, he went into the bathroom and there was Millie, cornering a mouse! I wasn’t very pleased. All of the commotion caused the mouse to run and disappear under the vanity. How did the mouse get in? I felt under the vanity and discovered a fairly large gap between the boards. A mouse could easily fit through there. Ok now how to I block the gap? A neighbor told me of a spray foam to fill gaps. I immediately went to Home Depot and bought a couple of cans. You may not know it, but I can be a very hasty person. So anxious to solve a problem that I sometimes will neglect some details, like reading the directions! I proceeded to spray the foam under the vanity to fill the gap and the foam went everywhere! The bad thing is that it dried so fast that I couldn’t clean it up fast enough! I got a paper towel (another not so smart move) and tried to wipe it up. The paper towel bonded to my hand because of the quick drying foam and my hand looked like a crusty white piece of cracked concrete! (did I think of wearing gloves? of course not) Well on with the cleanup! By now I had to scape the foam from the floor, vanity and toilet, yes my aim is as good as my handyman skills! A very painstaking process to say the least. I did manage to clean up the foam but did some minor damage to the vanity. A little touch up paint took care of that. Unfortunately, my hand did not fare so well. It was a crusty white mess for about a day or two. Now what about that mouse? Millie is still on patrol, looking all over for the mouse but I plugged up all gaps around the piping as well as the vanity so I hope she never sees another one. If it wasn’t for Millie, it would have taken much longer to discover where that pesky mouse came from! The greatest hits of your life are playing right how on Edgewater Gold Radio – on Tunein, Nobex radio and our own Edgewater Gold Radio App. Listen all day 50s 60s 70s 80s and standards are at your fingertips! add comment Comments Off on Millie’s On The Job! and a Foam Disaster! How Can You Tell If Your Dog Has A Fever? Have a great weekend – take the oldies with you-Edgewater Gold Radio – the greatest variety of all time! Listen on our website: The Edgewater Internet Radio Network! 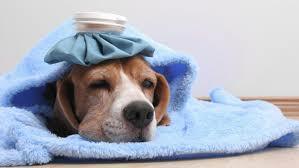 add comment Comments Off on How Can You Tell If Your Dog Has A Fever? Serious People and Computer Problems, Molly and Millie to the Rescue! These past few weeks have been a bit rough emotionally for me. I moved down to Rehoboth Beach, a little over a year ago and although it’s been the best move that we’ve ever made, I’m disappointed because I’m slowly learning that past relationships which I thought were solid all these years are beginning to fade and fade very fast. Even though I always try to reach out to family and friends, I rarely hear from any of them. I have not heard from any of the people at the school that I used to work at since I moved down here. Calls made to a particularly close friend are not returned. A long time friend for 47 years was married and I found out by seeing a picture posted on Facebook. Needless to say, I’ve broken the chain with this person. The saying “out of sight, out of mind” certainly holds true in my case. I’ve been spending much to much time trying to justify these actions, but come up with nothing. In addition to “people” problems, I’ve had serious computer problems over the past several weeks. My hard drive crashed, taking down my internet radio station and when the computer was returned from repair, a virus invaded it, destroying the operating system! After a painstaking restore process, all is up and running now. Throughout all of this drama over the past few weeks, I felt the comfort of my pets,two cats, Molly and Millie, who are with me providing unconditional love and affection! I’ve been tense and a bit “down” and the comfort of my cats, has actually kept my blood pressure in check and lifted my mood. Our pets keep us grounded and constantly remind us that all they need is food, love and affection. They will always be there and expect nothing in return. They’re a lot simpler to deal with than people aren’t they? My story is proof that pets can really help in time of illness and crisis. Lets never forget the power of our little furry creatures! Make oldies a part of your day. We’re live and local from Rehoboth Beach, Delaware providing the best oldies of your life! Edgewater Gold Radio! Make us a part of your day.You can also listen from our website: The Edgewater Internet Radio Network! add comment Comments Off on Serious People and Computer Problems, Molly and Millie to the Rescue! If you’re out on a little adventure with your dog, be careful of sand flies! Canine Leishmaniasis is a potentially fatal disease that is caused by a parasite. Dogs can become infected when bitten by an infected sand fly. Sand flies become infected by biting an already infected animal. Some signs of Leishmaniasis include dry skin, dandruff, hair loss around the eyes and muzzle and skin sores, especially on the dogs head and legs. Severe weight loss is another symptom. This disease was recently discovered in hunting packs of fox hounds in the south eastern United States. 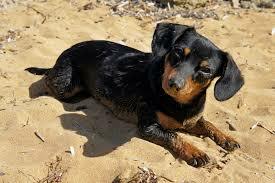 In areas with infected sand flies, dogs should wear collars impregnated with insecticide. They should stay indoors when sand flies are most active from just before sunset until sun up. All of your greatest memories are in one place. The greatest hits of the 50s 60s 70s 80s plus timeless popular standards! Edgewater Gold Radio —listen 24/7. If you’re at work, turn us on now and enjoy all day! Listen from our website: The Edgewater Internet Radio Network! add comment Comments Off on Beware of Sandflies! As you all know, my 18 year old cat Molly always gets what she wants and last night was no exception. Let me start from the beginning. Molly has thyroid and kidney disease. One symptom of kidney disease is vomiting mainly because of acid buildup in the stomach. I give Molly a combination of high quality wet food and add an omega oil to the food. I found that in Molly’s case, frequent, small feedings help with vomiting. Although this helps, it has created another habit for her. She goes from dish to dish throughout the day and I get up and give her a tablespoon of her wet food. Now this ritual has transitioned into the night. Last night, Molly woke me up about 4 times for her feeding. I of course complied with her wishes and got up to feed her. When she wakes me up, she jumps on the bed and puts her paw on my face. Kidney disease causes many problems including muscle weakness. Over time, Molly’s back legs have become weak. She jumped off the bed last night and couldn’t get up. I jumped out of bed once again and picked her up. She was wobbly at first but quickly regained her balance and was fine. It’s always scary when this happens and it does happen once in awhile. Back in a bit, Molly is now sitting by one of her bowls.It’s feeding time again!……………..Ok I’m back. As you can see, we will go to extremes for our pets. Now I need another nights sleep! We are live and local from Rehoboth Beach, Delaware with the best oldies of all time. If you’re at work, just click here and listen to Edgewater Gold Radio all day and enjoy the variety! You can also find Edgewater Gold Radio on our website, The Edgewater Internet Radio Network! If you love the oldies —here’s your station. We play the largest variety of oldies and feature do woo from the 50’s, the entire 60’s decades, the entire 70’s decade and the 80’s plus we also add in pop standards and vocals! Edgewater Gold Radio. Listen from our website The Edgewater Internet Radio Network. If you’re thinking of adopting a dog, consider a rescue dog. There are many dog rescue organizations across the country. Some focus on rescuing certain breeds such as Greyhounds that are usually put down after their racing career is over. Rescue organizations also focus on other breeds that have been abandoned. You would be doing a good thing by considering a rescue dog. The first thing that you need to do is go to a rescue website. If you are looking for a specific breed, there will be a link for rescued dogs. Petfinder is also a good choice for all breeds. Select the breed, size, age and enter your zip code. A list of dogs will come up in your surrounding area. You can also check out Petfinder if you are not looking for a specific breed. Pick out a dog and learn more about. You will be asked to fill out an application with details about you, your home, your family and your knowledge of dogs. You must also give the name of a veterinarian who could vouch for you. You will then be contacted and asked more questions. The rescue organization just wants to make sure that the dog is going to a good home and is not left alone the majority of the time. Be prepared for the foster parents to bring the dog to your home for a first visit. If the dog is at a kennel, you will be asked to go to the kennel. They will see how the dog interacts with you and how you interact with the dog. If all goes well, your cost will be about $150 to cover shots, spaying/neutering and any other veterinarian costs. Some of the money will be allocated to rescue another dog. 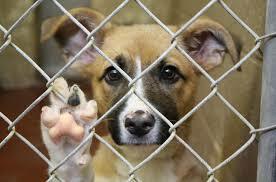 Most rescue organizations are non profit and the foster parents are all volunteers. Give your new best friend lots of love, treats, exercise and pampering. Remember, your pets count! The soundtrack of your life! The greatest variety of oldies are playing now on Edgewater Gold Radio! You can also listen from our website: The Edgewater Internet Radio Network! Does Your Dog Have A Heart Problem? There are several clues to look for to determine if your pet has a heart problem. They seem to slow down and can’t play or exercise anymore. Dr. Andrew Lowell is a Veterinarian at the Pender Veterinary Clinic in Fairfax, Virginia . 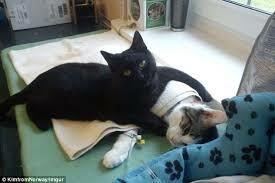 He says that pets and humans have common heart symptoms. If humans feel lethargic, tire frequently and can’t run anymore, this can be an indicator that there is a heart problem. Heavy breathing and continual fatigue are signals that your pet needs to go to the Vet and get checked out. 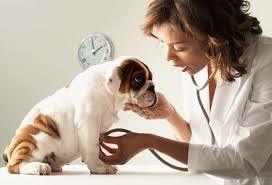 Frequently, heart problems can be controlled with the proper pet medication. My pet began coughing. At first I thought that he had something stuck in his throat so I looked and didn’t feel anything. The coughing stopped but started up again periodically. My pet also became less active than usual. When I took him to the Vet, it was determined that he had a serious heart problem. I had several prescription pet medications that I had to administer several times a day. This prolonged his life for almost a year. Make sure that you understand your Vets instructions when it comes to administering your pets medication. This is extremely important especially if you have several different medications to administer. Great day! Great oldies —keep them playing all day–the greatest variety are on Edgewater Gold Radio! Listen from our website: The Edgewater Internet Radio Network. add comment Comments Off on Does Your Dog Have A Heart Problem?